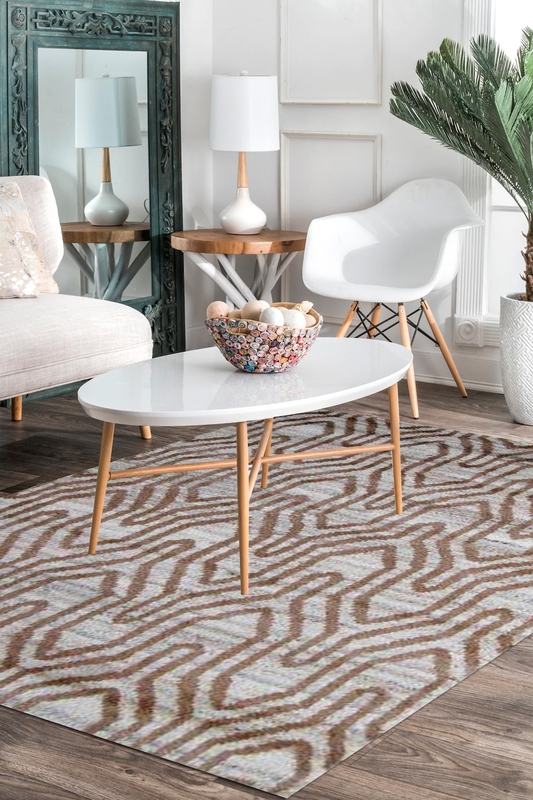 This Continuity Bar Moroccan rug design is inspired by mid-century modern design pattern. Buy this beautiful carpet at a very reasonable price here. This is 100% hand washable and woven into the super quality material. Inspired by modern Moroccan homes, Continuity Bar woolen carpet is a stylish floor covering that blends chic modern design with expert construction. This rug provides soft and comfortable underfoot gives the feeling of gorgeous relaxation. This rug is skilfully woven on a handloom with the finest quality material. The design of this carpet is inspired by mid-century of Moroccan style. The ivory field of color is subtly contrasted with a beige Moroccan-inspired geometric tiger print pattern. This rug will add a warm inviting touch to any space in the home, including a master bedroom, a living room, or an office. - Wool Warp- Cotton Back look just like front due to the intricacy of craftsmanship and fineness.